Sens. 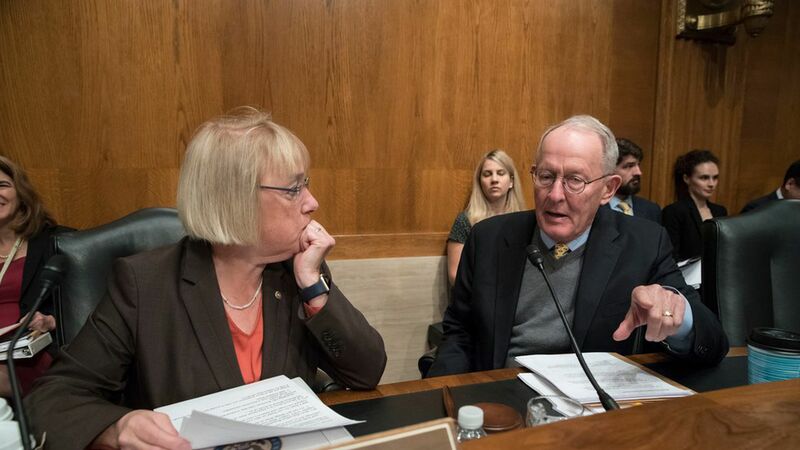 Lamar Alexander and Patty Murray introduced their bipartisan individual market stabilization bill on Thursday and announced it has 24 cosponsors. Why it matters: This bill could pass the Senate — if it comes up for a vote. Key quote: Given the policies included and the various sponsors, Alexander said, "Sounds like something that might actually become law before the end of the year." To opponents of the bill: "Some people are still objecting to the idea of continuing" cost-sharing reduction payments for two years, Alexander said: "They're listening to groups around Washington, D.C. I would suggest they listen to some other people" who could be hurt if the payments don't continue.